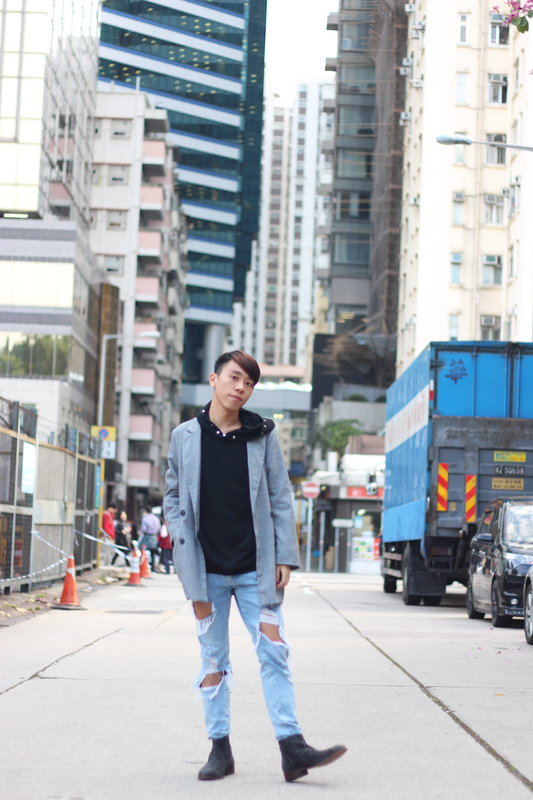 The Daniel Originals - Fashion, Menswear, Lifestyle, Travel blog: Happy Two Years Blogiversary! Guess what I am about to tell you.. Happy Blogiversary! I am so happy to tell you that my blog just turned to two years old! Still cannot its has been two year already since I established my blog! All I wanna say is I am so thankful and grateful that you guys keep supporting me along the whole journey. I promise myself I would keep updating as many as possible even though it is hard to balance between school and social media stuffs. I am also planing on creating the whole new instagram/ blog strategies. Because I want to bring something new and fresh to you guys! And I seriously cannot wait for more to come! Thank you for supporting The Daniel Originals! 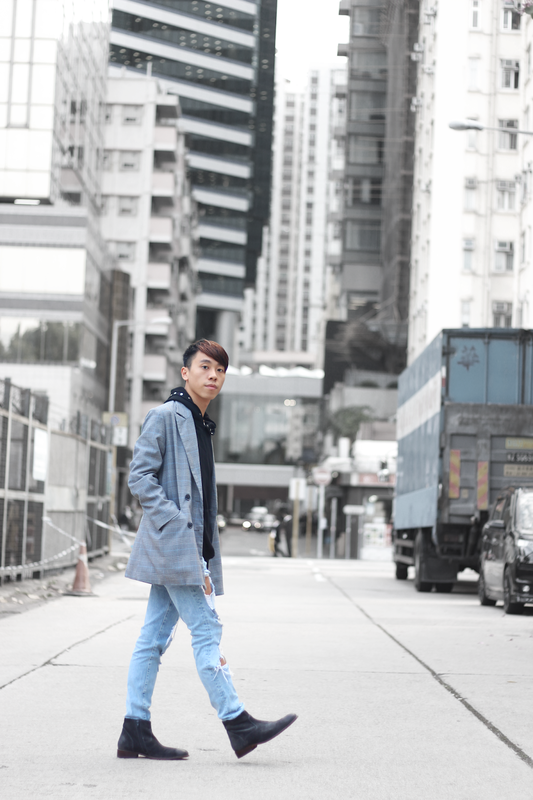 For the outfit in celebrating the two years blogiversary, I am rocking one the famous fashion trend, oversized blazer! This plaid blazer is so perfect for spring! Then I wore hoodie to add a bit casual touch to the look. The ripped jeans I wore just made for spring! These Frank Wright suede boots are my current obsession as well. I am so in love with all the suede shoes that the brand creates. You can never go wrong with these boots! 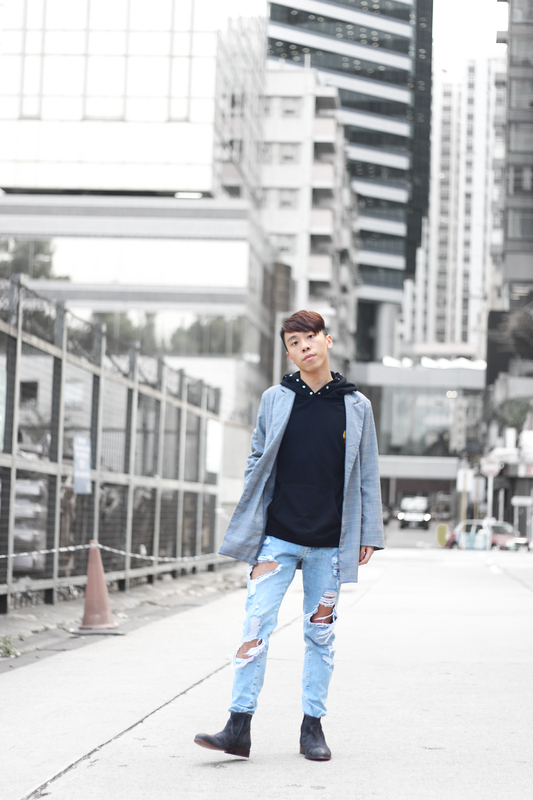 Great look and happy blog anniv!!! What a positive post! Congratulations on your blog on the second anniversary! I wish many, many inspiration and cool posts! Congratulations! Love the mix of casual and formal in the outfit too! Happy two year blogversary , in a few months, I will have my two-year blogversary too. so glad we made it and you look so stylish. Congrats on your anniversary here!! Happy two years of blogging! Cheers to many more! 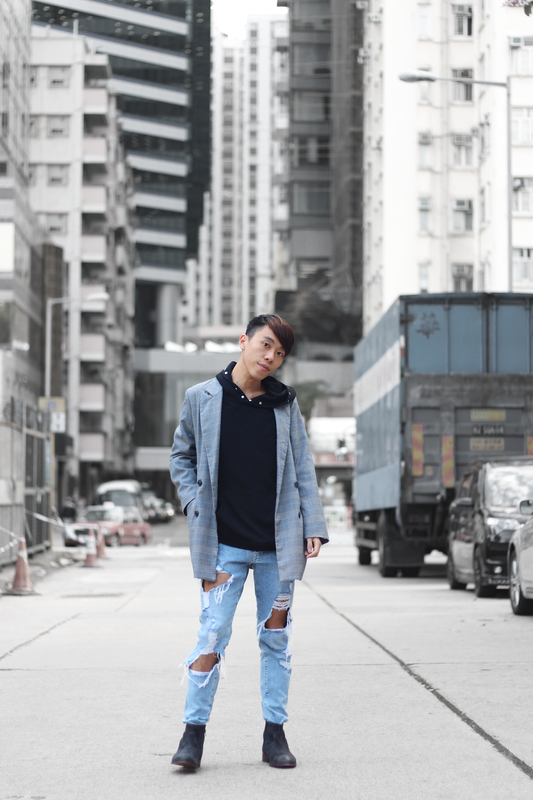 Love the ripped jeans with the oversized blazer!!! happy blogiversay babe! Keep the cute outfits coming! For some reason I thought you were based in Taiwan and I was about to get so excited because I'm going there in May. Maybe some day I will venture to Hong Kong too! Wonderful outfit. Love the jacket. Oh happy blogiversary!!! This outfit is beyond cool, love the urban way you styled that blazer. Wishing your blog success and many years to come!! You look great Daniel. Happy blog birthday and all the best. Happy Bloggiversary to you!! The outfit you are wearing is so stylish. I love the contrast between the blazer and the hoodie. So cool!